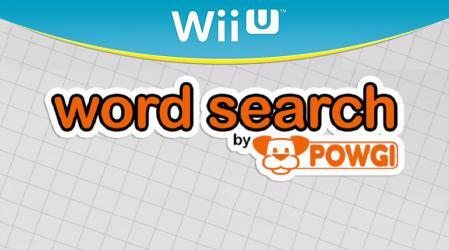 Word Search by POWGI includes more than 300 puzzles to keep you - and your friends - puzzling for hours! Up to five can play! Use the Wii U GamePad's touch screen and add Wii Remotes to solve the puzzle together as a team, or compete for the best score. Or just sit back and relax as you follow your progress through 27 different categories at your own pace - no television required! Play with the whole family and use the game as a fun way to practice spelling and vocabulary. POWGI's word search puzzles are expertly hand-crafted for your enjoyment and are stuffed to the brim with words in every direction!